How to start Apple Mobile Device service? If you connect your iOS device to your computer, and iFonebox doesn’t recognize your device, you may be suggested to check if your Apple Mobile Device service is started. Here’s how you can check and start the Apple Mobile Device service. 1. 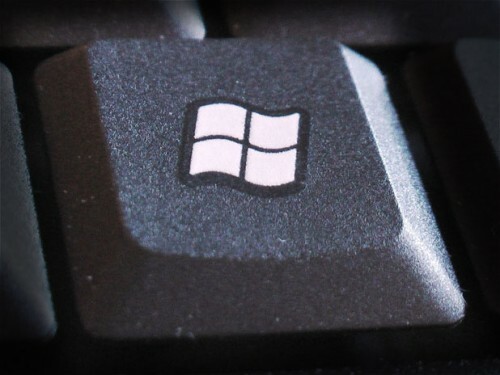 Press “Windows” and “F” keys on your keyboard, or click on the “Windows” button on left-bottom of your desktop to launch search bar. 2. 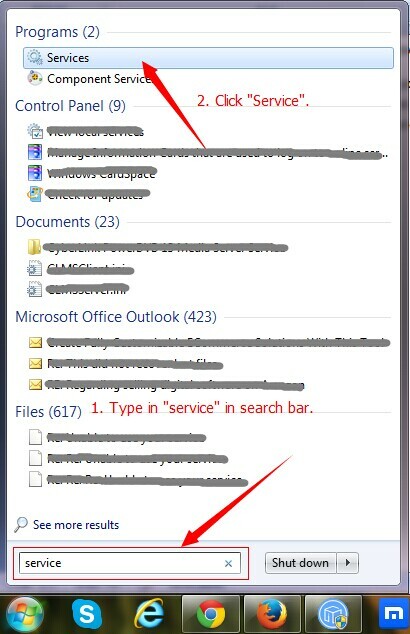 Type in “Services” in search bar and click Services in Programs section. 3. 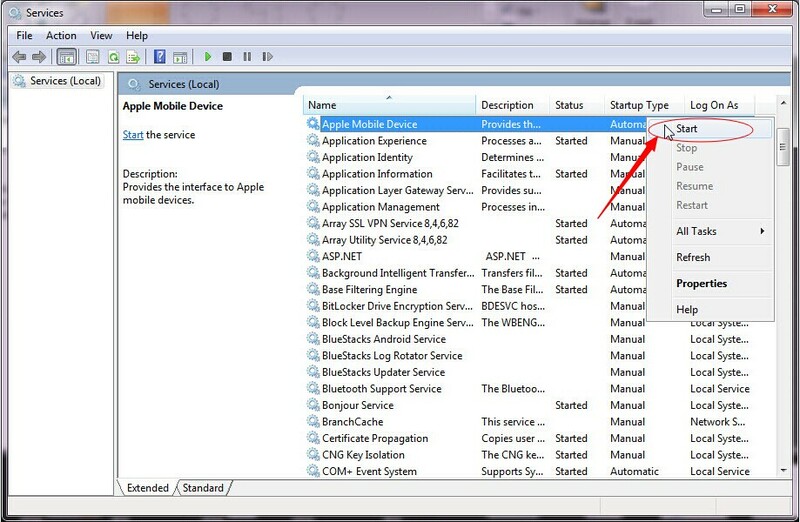 Find Apple Mobile Device and check if its status is “Started”. 4. If it’s not started, you can right-click on it and start the service in popup menu. 5. If you are not able to start the service and found the Startup Type is set to “Disabled”, please click “Properties” on the menu. 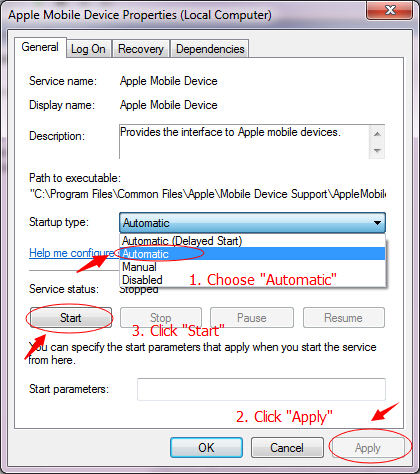 In the popup Apple Mobile Device Properties window, you can choose “Automatic” in Startup type menu >> Click “Apply” >> Click “Start” when the start button is available. And then you will find Apple Mobile Device service started. 6. Re-plugin your iOS device to the PC and check if it’s recognizable with iFonebox. If it still does not work, you may still try solutions below. 2. Try another USB port or change to another USB cable. 3. Make sure iTunes is installed and works properly. If it still doesn’t work, please contact ifonebox@auntec.com for more instructions. Other guides that may help you better use iFonebox.